Sharing your experience and information with the world becomes easy nowadays due to the possibility to create a personalized website. 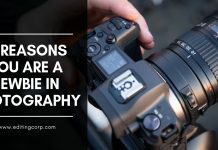 It can be an inspiring personal blog or a carefully organized portfolio, the advantages of which include the opportunity to present data of various formats and the sharing options to spread the information. Additionally, blogs make it clear what your followers think and allow for discussions if you include a commenting system. Portfolios, likewise, will present your projects to the best advantage. Creating an effective blog or portfolio will be much easier if you choose from ready-made templates, such as portfolio WordPress themes. You may compare different themes and opt for the one that will meet your desires most. 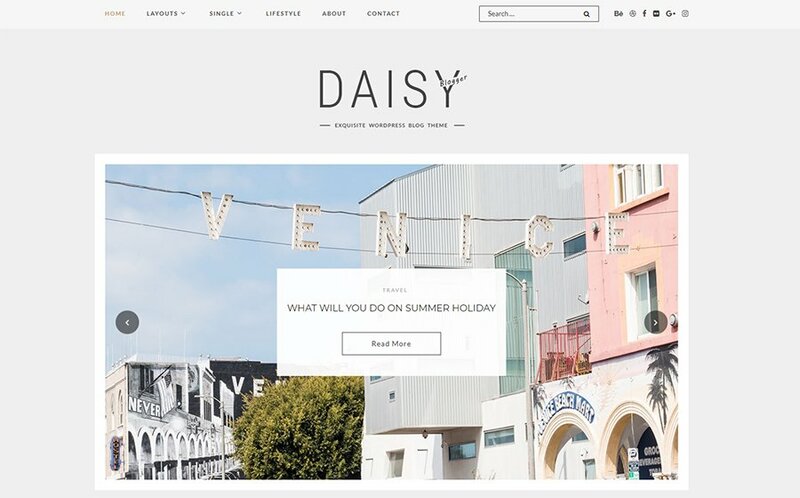 Such templates are customizable, so you can personalize your website to create its unique look. 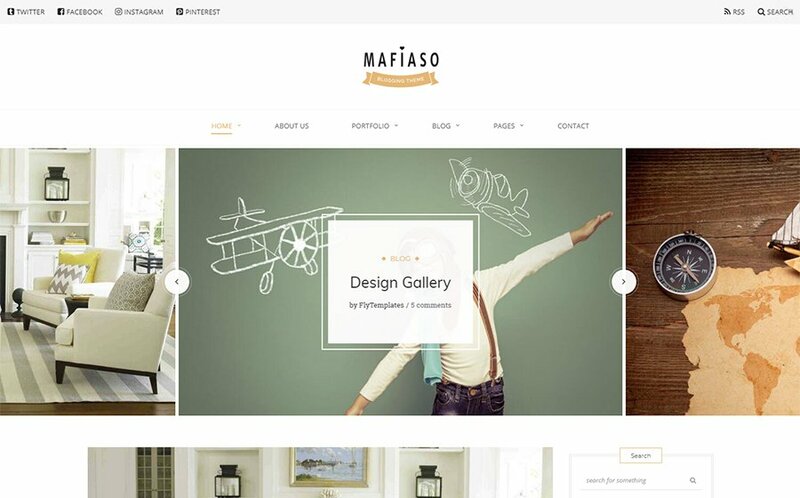 So, explore a wonderful collection of 10 Top WordPress themes. 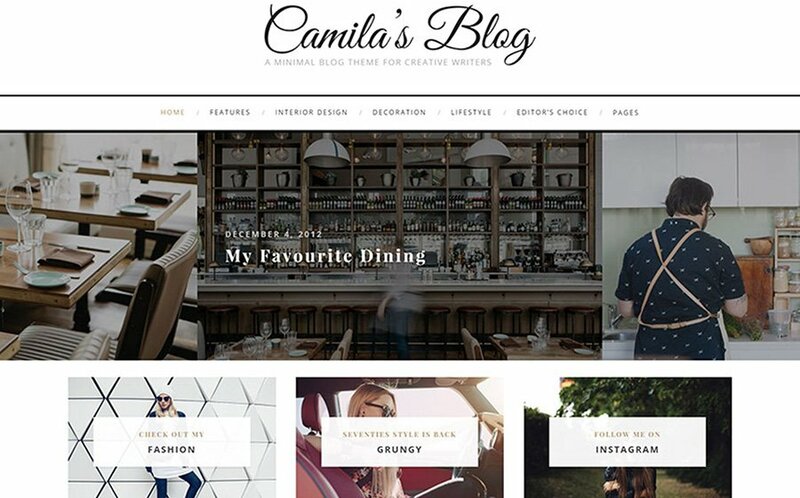 This stylish responsive Retina-ready theme contains numerous features for creating a successful personal blog. Personalize your page with various background options and show your personality adding different media to the library and creating astonishing galleries. Also, arrange your information in the way you find most appropriate using Dropdown Menu. Take advantage of the commenting system, contact form, newsletter subscription, and different social options to stay in touch with your audience. At the same time, enjoy editing and adjusting your website easily with Live Customizer. 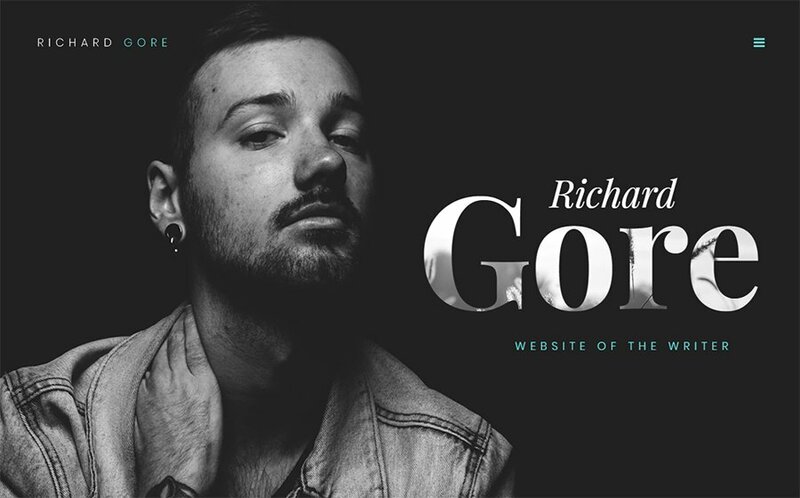 If you are ready to share your stories with the world, have a look at this eye-catching portfolio theme. It will let you create an efficient webpage to attract readers and present information about your books. You can also run a blog and allow your followers to express their opinions in comments. With an effective calendar, you will be able to create and plan different events easily. Additionally, newsletter subscription will be useful for those who want to be the first to find out about your news. As this template is responsive, your page will quickly adjust to different screens. 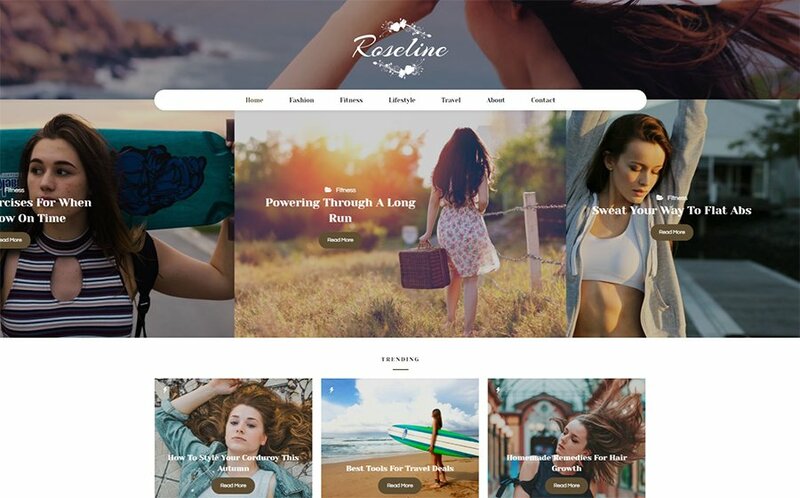 If you are a blogger wishing to create a powerful personal website, pay attention to this exquisite theme. It gives you numerous ways to present your content, and you can easily change layouts of your webpage to highlight necessary information. Arrange your data in grids, attach media of different types, add banners and emphasize your posts without any difficulties. 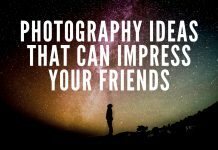 Also, stay in touch with your audience constantly by giving them a possibility to send you messages or to comment on your posts, as well as to share the content via different social networks. This bright theme is appropriate for creating a magnificent personal blog to inspire people. It lets you change the style and the look of your page really quickly, without requiring any CSS or HTML knowledge. So, visualize your dreams and launch your blog adjusting your posts, colors, fonts, background and layouts. Add custom widgets that will be useful for your followers, attract people’s attention with sliders, and stay in touch with people via different social options. 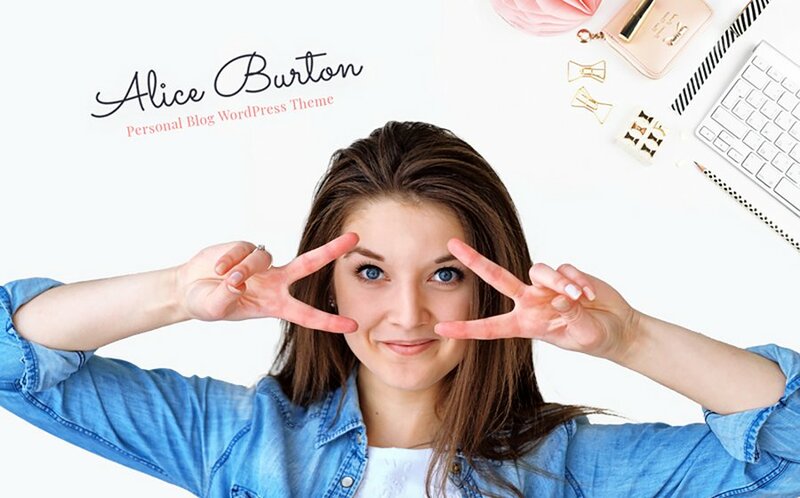 Whether you want to launch a personal blog for a writer, or a portfolio for a designer, architect, fashion expert, etc., this theme will be suitable for you. Apply different layouts, arrange your data into menus and categories, plan your events with a calendar, and constantly stay in touch with your followers. What is more, with Drag and Drop functionality the process of creating webpages will become a satisfying experience for you, and you will not need any programming skills for it. Choose from a variety of elements and create your unique website easily. 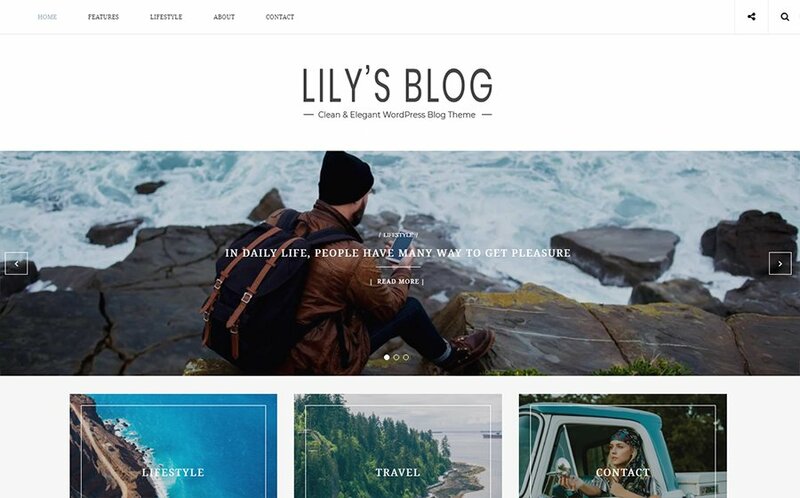 Your desire to motivate people and share your experience can be fulfilled successfully if you create a personal blog with this clean and elegant theme. Express yourself changing the look of your webpage by applying suitable layouts, arranging your posts, adding different sidebars, widgets and forms. Your followers will appreciate sticky navigation and the theme’s responsive design. Furthermore, there’s no limit in reaching people all over the world – the theme is translation-ready, so you can run your blog in different languages. 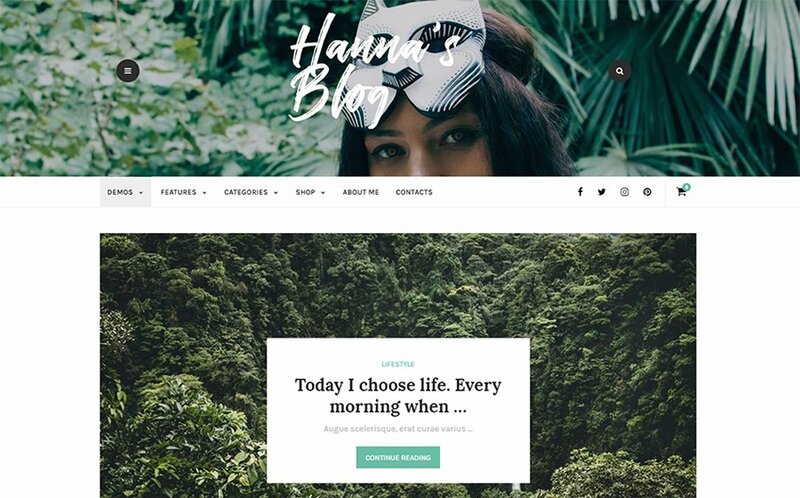 Equipped with Elementor, this theme is full of advanced widgets to let you create a powerful lifestyle blog or a personal portfolio. Enhance your page with image carousels and accordions, arrange your information in columns and lists, insert spacers, dividers and icons, and highlight any headings easily. As the template is Retina-ready, you can add pictures of the highest quality and always be sure that they will look great on any screens. Moreover, with Live Customizer you can see all the changes you make without reloading your page. 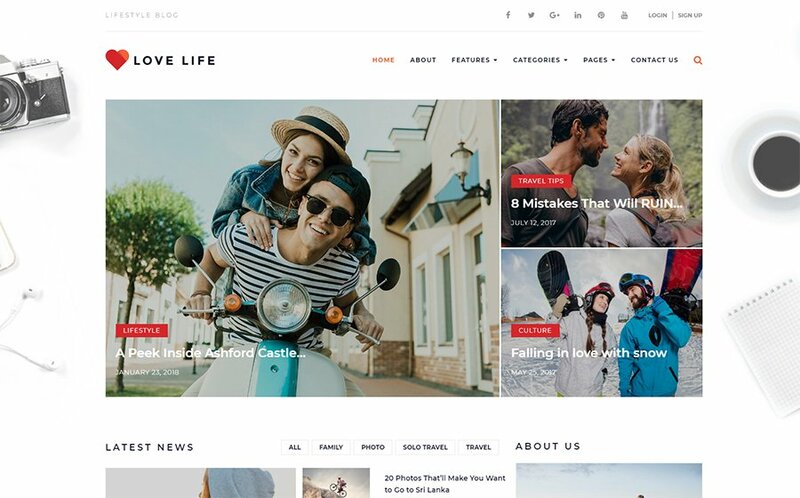 If you want to launch a website of a magazine or a personal blog, look at this trendy theme that can meet different needs. 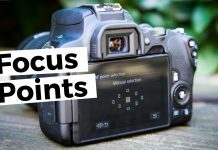 It is fully customizable and it features image lazy loading effect, social sharing options and contact forms, MailChimp for easy subscription, and other options. You can benefit from sticky sidebars and widgetized footers to drag your customers’ attention. With extensive control of typography and integrated Google fonts, you can make your page more personal. Furthermore, the theme is WooCommerce ready, so it will be suitable for running an online business. This responsive Retina-ready theme features a theme color switcher to let you create a perfect blog or portfolio to satisfy all your needs. Create efficient galleries of high-resolution pictures and add a revolution slider, experiment with page layouts and gallery types to organize your content in the most effective way. Moreover, your responsive website will be characterized by lightning fast loading speed and an exclusive readiness to adjust to different screens to provide the best users’ experience. Built-in Google fonts will give more chances to personalize your webpage. 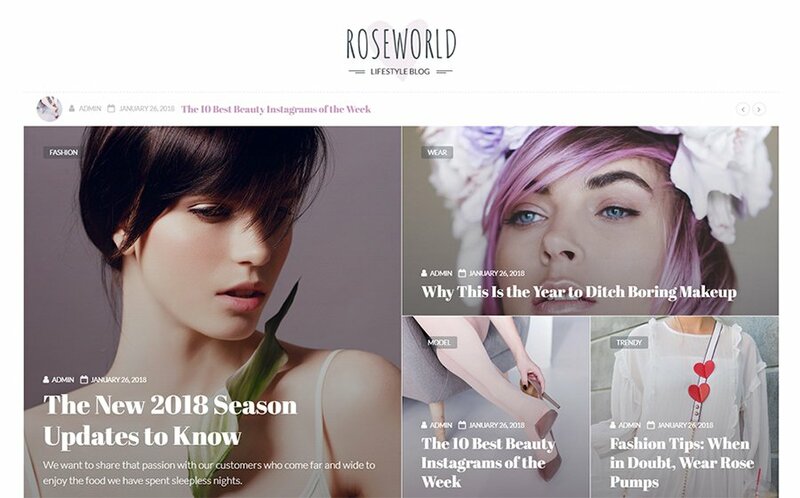 This tender and stylish theme will be appropriate for creating a lifestyle blog, particularly, a beauty and fashion blog. It contains different layout options, such as classic blog, grid blog, masonry blog and so on, to provide you with numerous ways of arranging your content. Launching your page will be a pleasant experience due to the Elementor Page Builder. 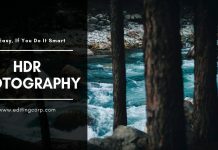 Moreover, this template features tons of high quality images on different topics and Jet Element plugin to increase your site’s functionality as a special giveaway. All in all, ready-made themes will be really handy for creating different portfolios and blogs. 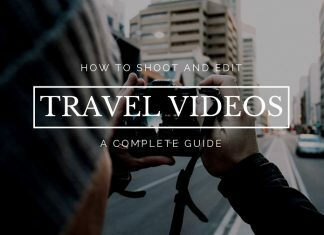 Whether you are a writer, a traveler, a photographer, a designer, an architect, a beauty expert, or just an experienced person who has something to tell the world, there is a perfect template to satisfy your needs. You can create marvelous galleries, adding videos and images, to offer others your experience. Also, online blogs and portfolios will let you stay in touch with a wide audience via emails and social networks. 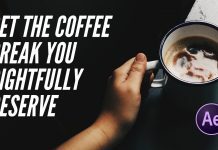 Furthermore, commenting posts directly on your webpage cannot be overestimated, so there will be a constant connection and interesting discussions between you and your followers. Additionally, a stunning portfolio is a means to demonstrate different projects, promote your company, and improve your business. Also, an incredible variety of ready-made templates can be used to create a website for any needs. To make sure yourself, have a look at Top WordPress themes.